The Jul/Aug 2015 No. 45 issue was denied. 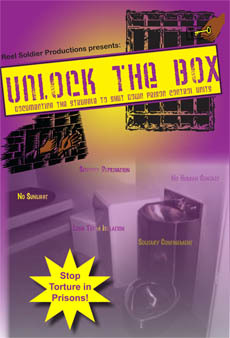 Pages 1 + 6 contain information detailing prison strikes which they say is a security risk. The DRC upheld the denial. It is the decision of the DRC to uphold the rejection of the above publication. This censorship violatse the grievants clearly established rights under the 1st amendment to the U.S. constitution. This grievance is aimed and leveled against c/o D. Meredith and a challenge to the sufficiency of "notice" (DOC 0212 Rev-9-2006) and it's non compliance with admin code 525 230(c)(1). The "notice" in question was furnished to this grievant on 10-14-2015. 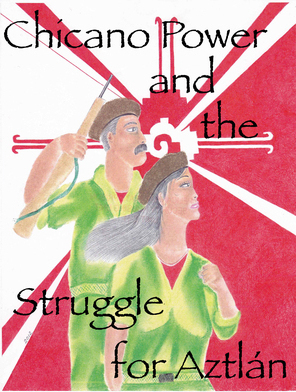 Publication in question is titled "Under Lock & Key", this publication is one based upon progressive, political, social, economic and educational. These progressive notions are a philosophical political point on socialism. 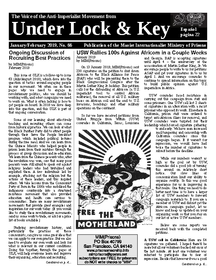 In every issue of "Under Lock & Key" they publish their goals and rebuttle argument, without the specific information based upon to determine the publication should be rejected. Broad and vague statements can not and will not suffice or pass constitutional muster. Thus the notice violates admin code 525.230(c)(1) and my due process rights. Due to the defective nature of the notice provided, the lack of an individual review of the publication in question. Also the very clear fact that every issue explicitely discourages violence and illegal activity. Any activity that is encouraged is within the scope of an in conformity and protected by the U.S. constitution's 1st amendment. The notice failure to conform to 525.230(c)(1) and its vagueness violates this grievant's due process rights. May this grievance and record reflect that this grievant received without any interuption a whole year of said publication. 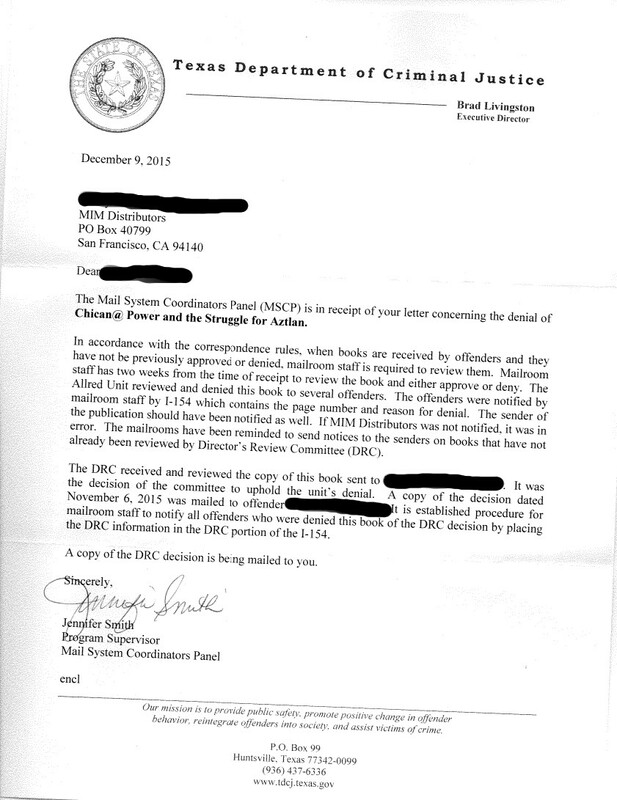 Relief requested: Be provided with a detailed reason fro the denial of publicaion in question. Have DOC 0212(Rev. 9-2006) reflect and conform to admin code 525.230(c)(1). To not be disciplined for the prior issues allowed for an entire year. 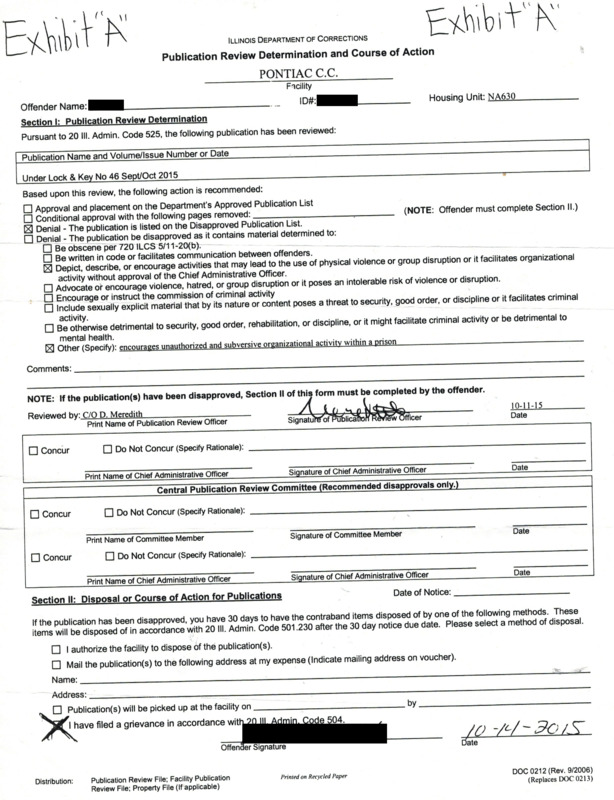 Per DR 25, if any publication, or part of, depicts, describes, or ecourages activities that may lead to the use of physical violence or group disruption or it facilitates organizational activity without approval of the CAO, can be banned/unauthorized. C/O Meredith reviews individual publications unless it is on the banned list. The banned list is an administrative decision per DR504. No course of action attached.